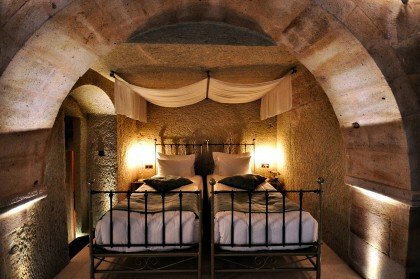 Suite 104 is a combination of excavated rock cave and stone with the typical Cappadocia arches and flat timber ceiling. 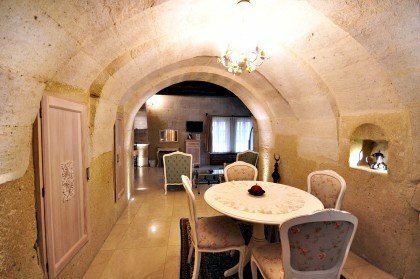 The Windows of this house offer a 180 degree view of the valley and Ortahisar rock. The closets are the original cupboards of the house where the bed mattresses were stored for the day. As you descend the staircase tunnel to the bathroom, you were entering the kitchen of the house. All the shelves that are carved into the rock are the original shelves of the kitchen. The exterior door is an original door belonging to the series of rock dwellings that were purchased in 2006. 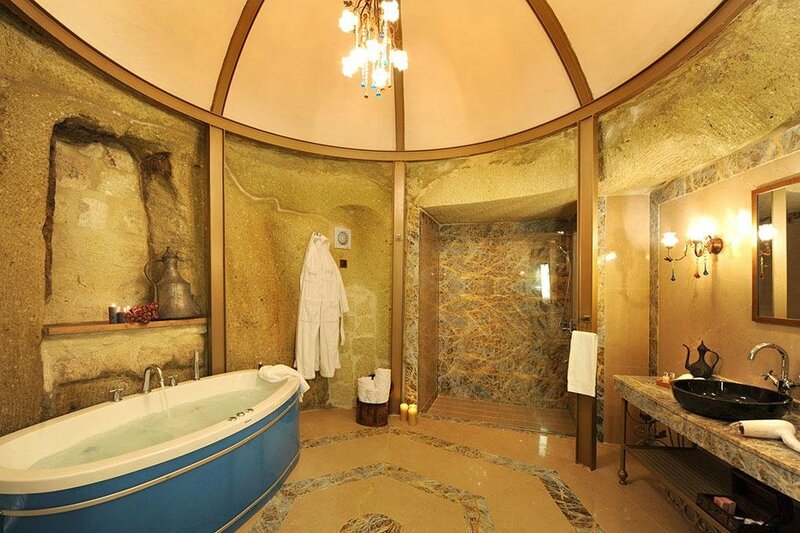 This room is in size 60 square meters with a private jacuzzi and shower. 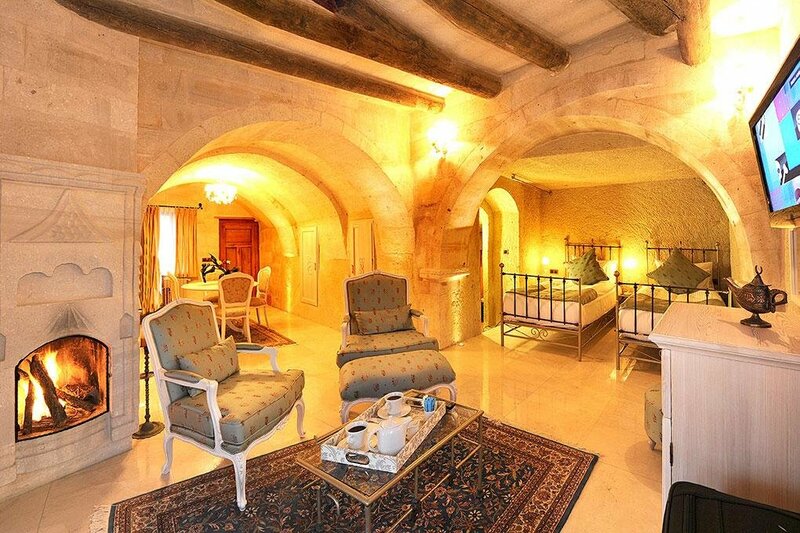 Enjoy the picturesque local village life passing by and the panoramic valley view in this room. This room has als special fireplace. All rooms have tea & coffee set, wireless internet, complimentary water, safe box, filter coffee machine, iron & ironing board, mini bar, TV, bathrobe, slippers.This room has special Bvlgari bathroom stationeries.